Far ahead of its time, The Souls Of Black Folk both anticipated and inspired much of the black conciousness and activism of the 1960's and is a classic in the literature of civil rights. 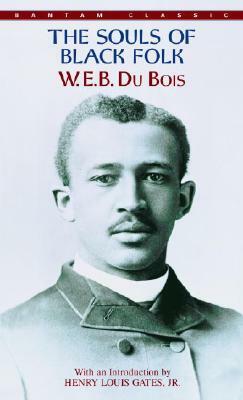 The elegance of DuBois's prose and the passion of his message are as crucial today as they were upon the book's first publication. W.E.B. Du Bois (1868–1963), writer, civil rights activist, scholar, and editor, is one of the most significant intellectuals in American history. A founding member of the NAACP, editor for many years of The Crisis and three other journals, and author of seventeen books, his writings, speeches, and public debates brought fundamental changes to American race relations. David Levering Lewis is Martin Luther King, Jr., University Professor in the department of history at Rutgers University. He won Pulitzer prizes for both volumes of his landmark biography of W.E.B. Du Bois, along with many other awards, including the Bancroft and Parkman prizes. He lives in Manhattan.